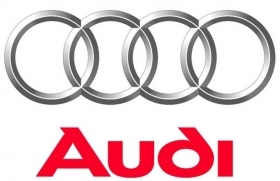 FRANKFURT – Volkswagen's premium brand Audi said it is on course to achieve record car sales in the first quarter, after reporting that demand in February rose 16.6 percent to 106,600 vehicles. "We are well on track to achieving the strongest first quarter in Audi's history, thanks especially to high levels of growth in the USA and China,'' Peter Schwarzenbauer, Audi's head of marketing and sales, said in a statement on Thursday. In February, Audi maintained its position as the second best-selling global premium brand behind BMW, which sold 107,359 cars in the same period, just 759 more than Audi. Mercedes sold 95,647 units last month. In China (including Hong Kong), Audi's biggest market, the automaker sold 31,352 cars in February, a rise of 65.7 percent in year-on-year figures. Audi's sales rose 4.5 percent to 19,769 in Germany last month, after falling 2.3 percent in February. Europe's biggest economy and Audi's No. 2 market managed to defy a market that continues to experience stagnant or falling sales amid the effects of the sovereign debt crisis sweeping the region. Overall European sales for the luxury brand lifted 2.1 percent to 54,850 last month, helped by the success of the Audi Q3 SUV and the A1 sportback, which was launched in Europe last month. Sales of Audi cars rose 5 percent in France to 5,654 units in February, making it the automaker's second-biggest single European market last month. Audi also achieved significant growth in the eastern European markets, where overall sales increased by 34.9 percent. In Russia alone, sales last month climbed year-on-year by 54.8 percent to 2,330 units. U.S. sales continued to grow last month rising 10 percent to 8,531, making it the automaker's third-biggest global market. In total, Audi has sold 202,700 cars since the start of the year, a rise of 8.5 percent on the same period in 2011.